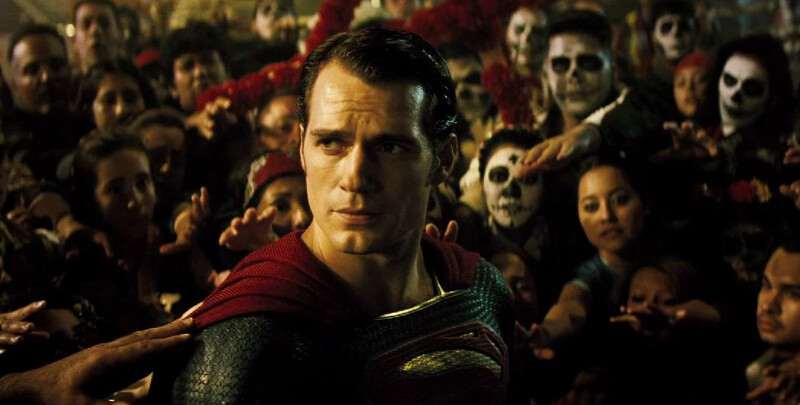 Don’t Believe the Hype: Batman vs Superman is the Best Super Hero Movie Ever – Dork Forty! So, yeah… After a headline like that, I guess I got some ‘splainin’ ta do. But I’m dead serious. Batman vs Superman is the best super hero movie I’ve ever seen. I understand that I’m largely alone in this opinion. Even the friends I saw it with were mostly luke-warm on the film, and think I understand why. It’s not perfect by any means, and if you don’t buy into it from the get-go, I’m sure its flaws loom large. That buy-in may be tough for some people, too, because it’s a slow builder, its first half primarily devoted to set-up, character development, and a mystery so complex that you don’t even quite realize it’s a mystery until you’re ankle-deep in it. “Labyrinthine” wouldn’t be an inaccurate word here. And when that kind of plot sneaks up on you, it can be hard to engage with. Of course, that’s one of the big reasons I like it. It’s complex and a little difficult, a morally complicated film that asks questions for which there are no easy answers, and challenges the audience’s perspective on its iconic characters. It delves into mythic themes and operatic drama while still grounding itself firmly in the current American moment. It entertained and engaged me from the outset, and delivered on the hyperkinetic action I walked in expecting. In short, it’s everything I could hope for in a super hero movie. It’s awesome. Now… I guess I should back up all that flowery talk. And I’ll try to do that in a relatively non-spoilery manner. No sense ruining the experience for anybody who hasn’t seen it yet, after all. I suppose the place to start is with Batman. 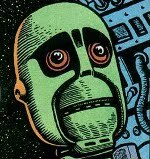 This is a version of the character we haven’t seen on-screen before, and maybe not in comics, either. Not exactly. It’s a seasoned Batman, 20 years into his career and still going strong. But his methods aren’t as clean as we’re used to. He’s violent. Brutal. He still wades into fights with non-lethal force, but if the situation calls for him to kill, or even to turn his enemies’ own guns against them, he’ll do it without hesitation. He’s got guns mounted on the Batmobile now, too, and he opens fire on the vehicles of fleeing criminals without mercy, wrecking their cars with little concern for the lives of the men inside. Shocking, for many. But I think that’s the point. We’re supposed to be shocked by this Batman. We’re supposed to be bothered by him. His idealism, jaded even at his most optimistic, has soured. He’s starting down a bad path. Alfred even warns him about it, in a discussion about the kinds of things that “make a good man cruel.” What made Batman cruel? The mass destruction at the end of Man of Steel. He was in the middle of it as Bruce Wayne, on business in Metropolis, saving lives but mostly forced to watch helplessly as the Kryptonians laid waste to everything around him. It made him feel helpless, and that’s not a feeling a guy like Batman’s going to deal with very well. …by Jesse Eisenberg. 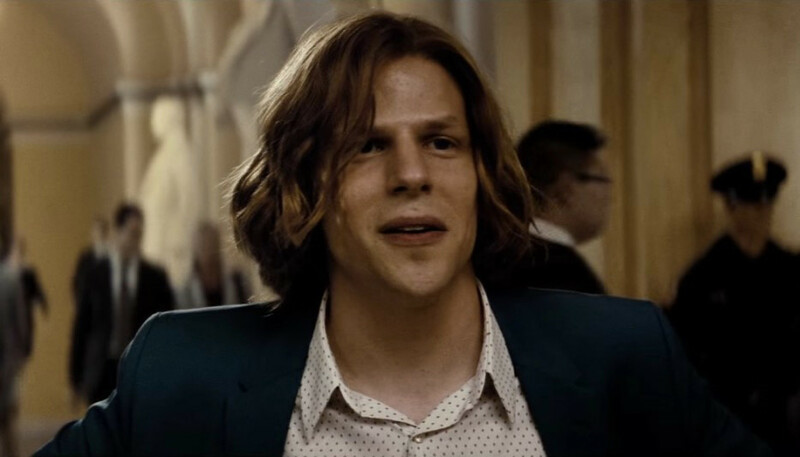 Lex has all kinds of control issues, and he hatches a multi-layered scheme to not just destroy Superman, but to humble him, to bring him low in the eyes of his adoring public. It’s Luthor who gives voice to the film’s mythic themes, wondering aloud if Superman is angel or demon (he’s betting on the latter), and making numerous references to battles between man and god. Which brings us, finally, to Superman. In the 18 months since the last time we saw him (in the afore-mentioned Man of Steel), he’s largely gained the public trust. But an incident in which he rescues Lois Lane from a local warlord somewhere in Africa winds up destabilizing the region, and suddenly his simple ethic of altruism becomes a lot more complicated. This is the crack into which Luthor shoves his crowbar, and as he bears down on it, Superman is left questioning his place in the world, seeking answers that may not exist. 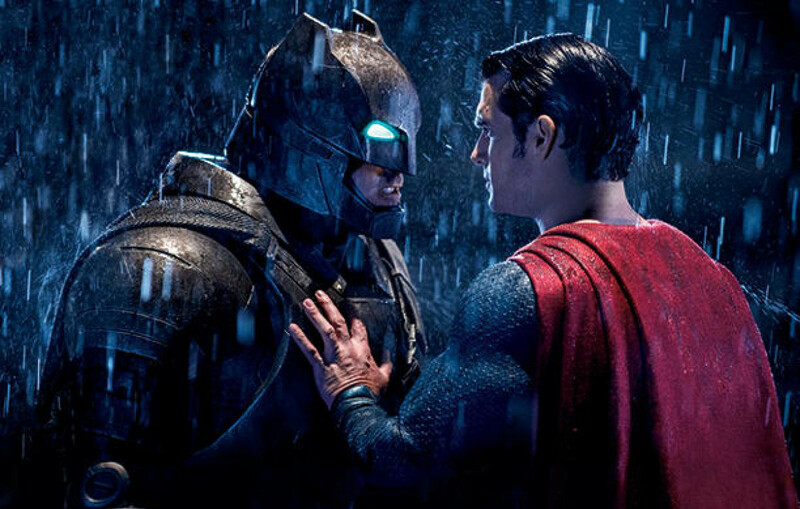 So that’s Batman vs Superman in a nutshell: one very bad man applies his considerable genius to destroying one very good man, while another good man pits himself against both of them even as he himself slips ever further into darkness. The conflict builds slowly, growing to involve mercenaries, senators, a homeless guy, and international shipping regulations (scintillating!) in a complex web of plots within plots. Too complex, some have said. My favorite comment along these lines came from a friend who off-handedly dismissed it as having a “stupid plot” that’s nonetheless “pointlessly complicated.” Which is funny. But in response, I can only shrug. I mean… it’s a super hero story. Of course it’s stupid. Even Watchmen, generally regarded as the genre’s literary peak, hinges on a scheme that’s mind-bogglingly idiotic. But that’s part of the reason it’s considered the genre’s literary peak: the best super hero stories should always be a little stupid. But that doesn’t mean they have to be obvious. As I said earlier, the complexity of Batman vs Superman is what I liked most about it. I enjoyed putting the pieces together. I wondered why that one Russian guy kept turning up, for instance, and what a Gotham City smuggling operation had to do with anything. Little lines of dialogue come back to resonate later, and things that seemed coincidental turn out to be anything but. So I didn’t find the complexity pointless at all. It was key to my enjoyment. Also key, admittedly, is my love of these characters. When Superman goes through his dark night of the soul, I’m right there with him. 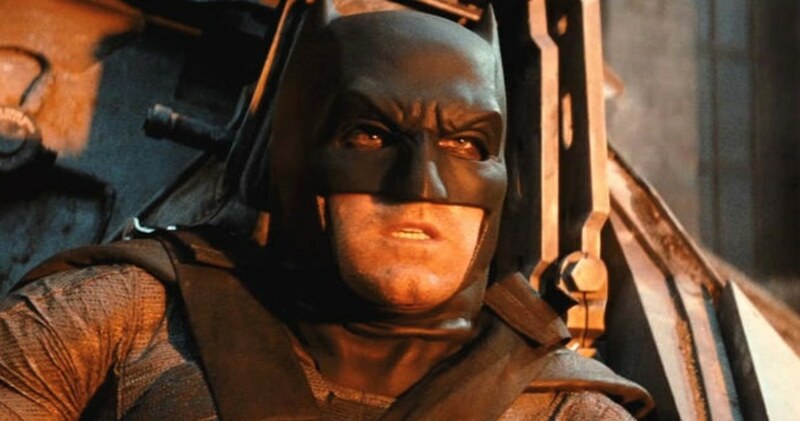 And Batman… Good lord. As the film progresses, we start to understand better exactly how much he’s losing his way. So when his obsession reaches its peak, in this absurdly grand moment of operatic sturm und drang, I’m dying a little inside. Pulling for him to come to his senses before it’s too late, and not entirely sure if the movie’s going to let him. I’m actually afraid for him. It’s silly, I know. The kind of reaction a child would have. But that’s how hard this film hit me. It drew me in, kept me engaged, and won me over. It made me, in the words of another friend of mine, a pure audience. My cynicism melted away, and I was having such a good time that the film’s flaws didn’t seem so important. And it does have flaws. Moments of supreme ridiculousness and little things that hit a sour note. The ridiculousness, of course, I embrace. I’m particularly taken with The Batman Workout, which apparently involves hitting a tractor tire with a sledgehammer and tying chains around your waist. It’s completely ridiculous and brutal, precisely the sort of thing this gothic opera Batman would do, and I love it. The little sour notes, I don’t love. But I was having so much fun on the whole that I was predisposed to let them slide. And, yes, I did have fun watching this movie. Much has been made of its somber tone (“Why doesn’t the sun ever shine?” one of my friends asked). And it is a very serious film for the most part. But I enjoy an active viewing experience like this. And I mean, you know… It’s super heroes. Much as I might have been worried about my old friend Batman, there’s still an element of big dumb fun here. There’s a monster to punch! Batman wears a freaking suit of armor! 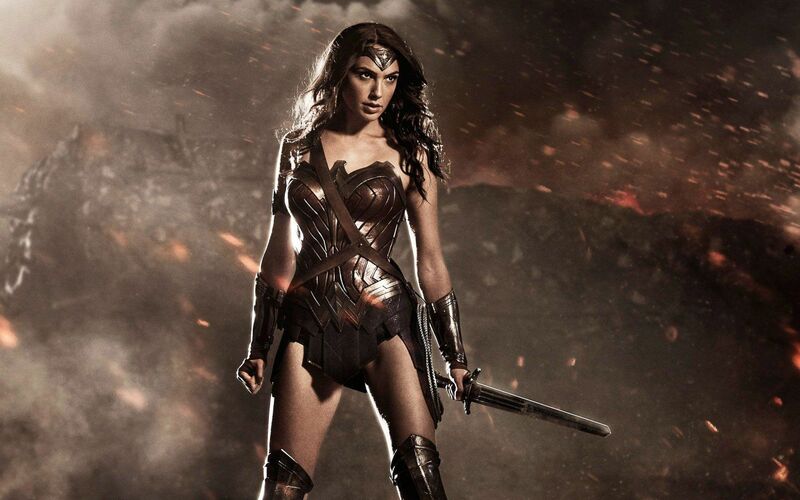 And Wonder Woman shows up to steal the show! At any rate. Batman vs Superman. Serious, yes. Devoid of fun, no. You want joyless and bleak, watch that Daredevil show on Netflix. Next to that, Batman vs Superman is like a freaking parade. At their hearts, this film, and Man of Steel before it, are essentially optimistic films about the triumph of the heroic ideal. The first one’s all about Superman overcoming fear, in both himself and others, to become the man he needs to be. And this one’s all about the redemption of Batman’s soul. Both films take a long trip through the darkness, but they come out the other side into the light. And that is why Batman vs Superman is the best super hero movie ever. Your mileage may (and undoubtedly will) vary. Grade: Best Super Hero Movie Ever, Duh! Now, then. There’s a lot more to my love of this film than I’ve said here, but I can’t explain that without spoiling it entirely. And since I’m kind of running out of time here tonight… and since the movie only opened a few days ago… I think I’ll save the spoiler review for next week.